As the hot and humid days of summer are replaced with the cool and comfortable temperatures of fall, residents of Dacula, Georgia will start to notice lower power bills. For the next few weeks, HVAC equipment will not have to work as hard to keep your home comfortable. However, this also means that winter is quickly approaching. With freezing temperatures in the not so distant future, now is the time to make sure your furnace is working at maximum efficiency. Now is the time to call your Dacula furnace repair experts at Cool Masters Heating and Air! Have your power bills been considerably higher lately? A damaged or old furnace may have to work harder to heat your home. This requires more power leaving you with less money. Cool Masters Heating and Air can provide you with the Dacula heating service you need to keep your energy bills under control. Whether you need heating maintenance, repair, or would like an upgrade, our HVAC technicians have you covered. 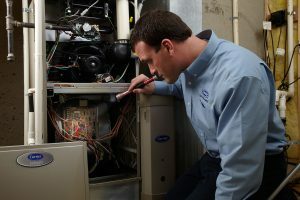 While there are a lot of companies that offer furnace repair, you want to be sure that your home receives the care of an experienced, reputable technician. You never want to risk hiring an inexperienced HVAC company. Sloppy repairs can cost you much more money and force you to spend more days without heat. You never want a broken furnace during a brutal winter cold front or one of Georgia’s infamous ice storms. This is why so many homeowners choose Cool Masters for all their Dacula furnace repair needs! With a strong reputation throughout the area, our company has earned a reputation for providing some of the top heating and furnace repair Dacula, GA has to offer. Browse through our reviews and see why so many customers choose Cool Masters for all their HVAC needs! If you have any questions or concerns, our staff is standing by ready to assist you. Give us a call or shoot us an email. If you prefer social media, feel free to post on our Facebook page! As your neighborhood experts, we are here to provide you with all of your heating needs.